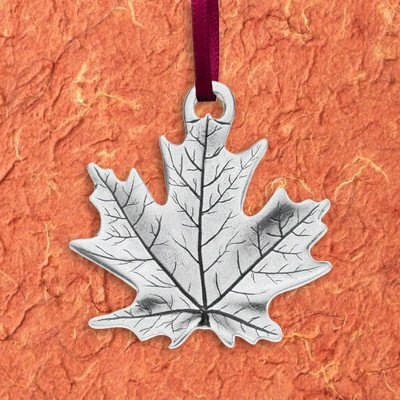 The classic pewter Maple Leaf Ornament made from solid pewter and is handcrafted in Vermont. Made in Vermont. The classic pewter Maple Leaf Ornament made from solid pewter and is handcrafted in Vermont. It comes tucked inside a flannel pouch and gift box for safe keeping between the holidays. 1 3/4" high.